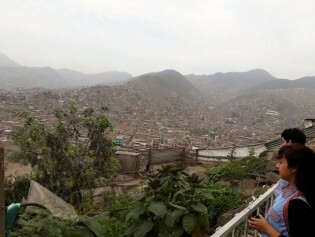 Young Peruvians plan to take advantage of the knowledge acquired in Brazil's semi-arid Northeast to bring water to segments of the population who suffer from shortages, after sharing experiences in that ecoregion on the multiple uses of renewable energies in communities affected by climatic phenomena. Rural women in Latin America play a key role with respect to attaining goals such as sustainable development in the countryside, food security and the reduction of hunger in the region. But they remain invisible and vulnerable and require recognition and public policies to overcome this neglect. Brazil is one of the world's largest agricultural producers and exporters, but its food supply has become seriously deficient due to food insecurity, unsustainability and poor nutrition, according to a number of studies. Irrigated green fields of vineyards and monoculture crops coexist in Brazil’s semiarid Northeast with dry plains dotted with flowering cacti and native crops traditionally planted by the locals. Two models of development in struggle, with very different fruits. It’s pouring rain in the capital of Argentina, but customers haven’t stayed away from the Bonpland Solidarity Economy Market, where family farmers sell their produce. The government has now decided to give them a label to identify and strengthen this important segment of the economy: small farmers. Family farms have been contributing to food security and nutrition for centuries, if not millennia. But with changing demand for food as well as increasingly scarce natural resources and growing demographic pressures, family farms will need to innovate rapidly to thrive. “We want healthy food, we want to produce according to our traditions,” farmers and activists demanded during an international forum of experts on agriculture and the environment in this southern Italian city. An estimated 400 million acres of farmland in the United States will likely change hands over the coming two decades as older farmers retire, even as new evidence indicates this land is being strongly pursued by private equity investors. Providing school meals for 45 million children is a remarkable achievement for Brazil. But the programme faces specific difficulties, as well as the generic problems plaguing any national plan in this vast country of more than 192 million people.